A systematic review and analysis by an international team led by Drs. 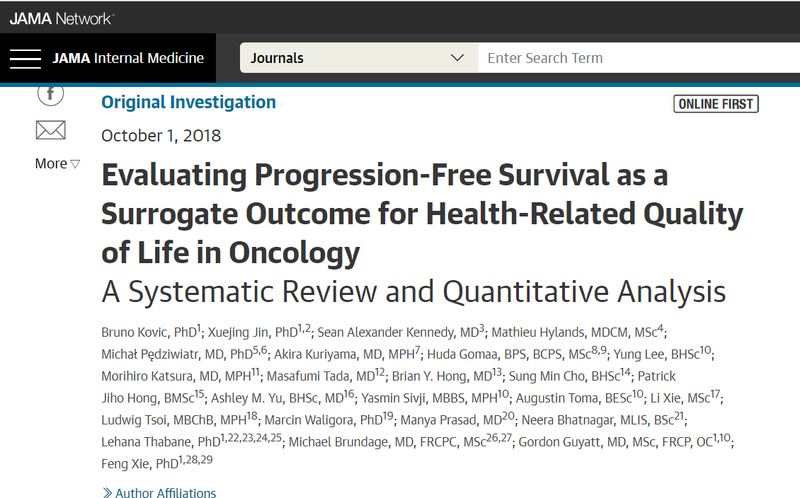 Bruno Kovic and Feng Xie found that there is no significant correlation between progression free survival and health-related quality of life. This study raises an important issue on using PFS as the primary outcome for oncology drug approval. This study is published by JAMA Internal Medicine today. Click here to read the paper and discussions around the globe. See McMaster’s media release. The study was also reported by Fox News, MedicalXpress, Reuters, and Business Insider UK.